Central State Hospital opened in 1906 and was built as a cottage plan. 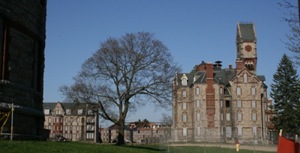 While the hospital is still active, many of the buildings have been abandoned. Many of these photos are meant to illustrate what abandonment and funding cuts of these institutions look like. This is not meant to reflect on current treatment or care.